Samsung Galaxy S3 was with me almost 3 years, it was a great phone in the beginning as it aged the fun element strated diminishing. S3 was still running on Jelly Bean thanks to its not even 1GB RAM. As it became slowest of slow and with lost battery life come in the necessity of new phone. 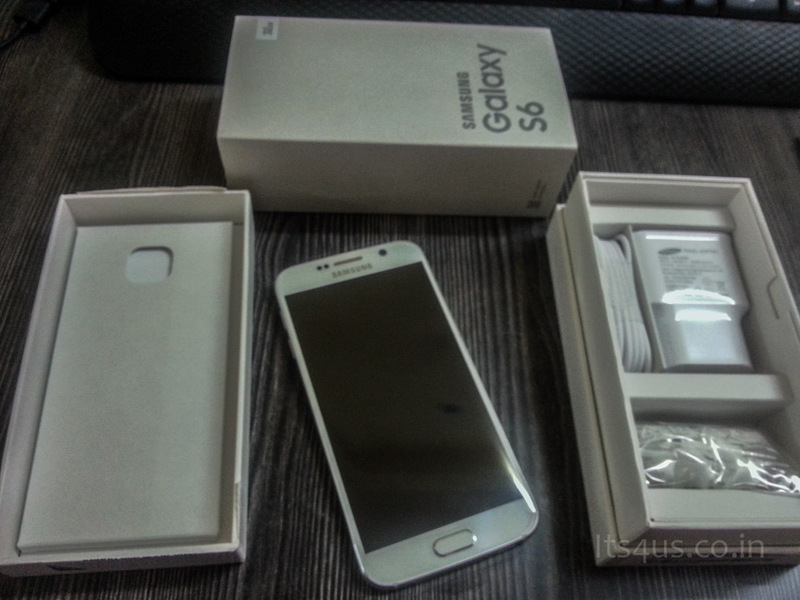 With that clear it was this years Samsung’s flagship S6, as i was not that intimidated by the curve display S6 Edge. On a friday evening i set on to get the phone, as the store didn’t have a S6 white in stock i had to wait few minutes. 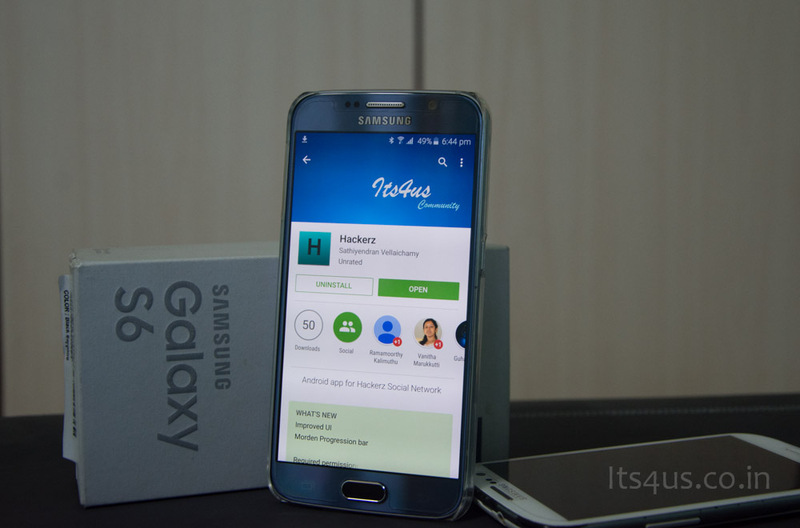 With S6 i drove home happy, however i did not use it that night as it required a nano sim. First thing on Saturday i reached Airtel showroom, i must say getting a sim replacement was breez. It took less than 2 mins for the Airtel representative to do the necessary action required no documents or cash and 10 mins later nano sim was up and running. Fun started S6 white was fast and was just falling in for it when the unfortunate struck. When i tried to add fingerprint it started giving an error “An error has occured with the fingerprint sensor. If this message appears repeatedly, restart your device” this remained the same after a restart and factory reset. Next this i did was to check the status of the sensor using the code *#0*# and i got a error message for Fingerprint sensor alone and other passed. Went to the Store the Samsung representative was very kind and was helping me out to get it solved. After experts failing to find the issue the directed to service center. Saturday afternoon i am there with the Samsung representative from store, the Customer relations person was not that helpful and had just one answer to all “ Systems are down so can check”. I am not quite sure why does the Service Center systems have so frequent down times. They asked me to come back tomorrow. Must say this was one of the worst customer relations /satisfaction i have been across. Even after few phone calls on status they did not get it done. I had to visit them in the evening and make things move fast with few angry words. 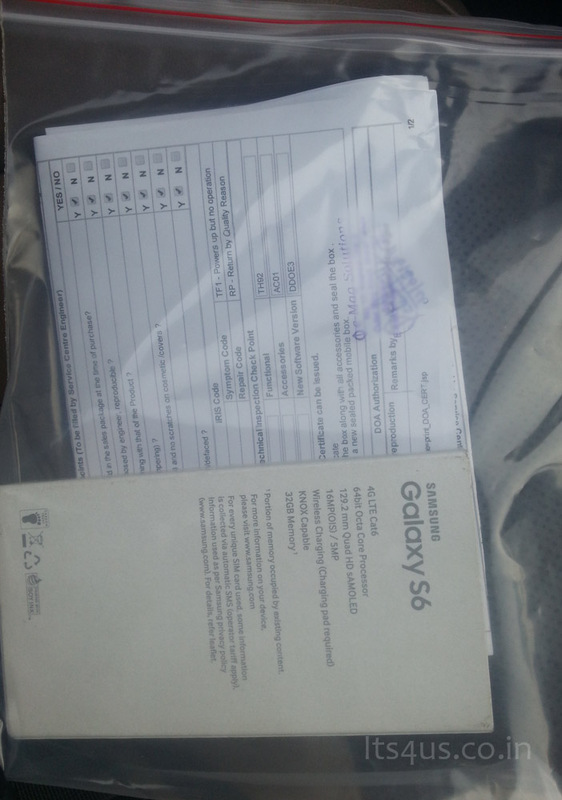 Delivery representative was responsible person who did get me the order copy and sealed defective S6. Reached store to get my replacement, White Pearl was not lucky enough so went for the Black Sapphire this time.